Faster, Higher, Farther - Description | W. W. Norton & Company Ltd. In mid-2015, Volkswagen proudly reached its goal of surpassing Toyota as the world’s largest automaker. A few months later, the EPA disclosed that Volkswagen had installed software in 11 million cars that deceived emissions-testing mechanisms. By early 2017, VW had settled with American regulators and car owners for $20 billion, with additional lawsuits still looming. In Faster, Higher, Farther, Jack Ewing rips the lid off the conspiracy. 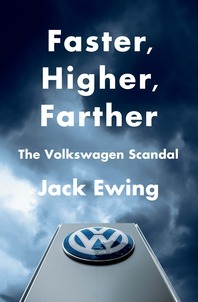 He describes VW’s rise from “the people’s car” during the Nazi era to one of Germany’s most prestigious and important global brands, touted for being “green.” He paints vivid portraits of Volkswagen chairman Ferdinand Piëch and chief executive Martin Winterkorn, arguing that the corporate culture they fostered drove employees, working feverishly in pursuit of impossible sales targets, to illegal methods. Unable to build cars that could meet emissions standards in the United States honestly, engineers were left with no choice but to cheat. 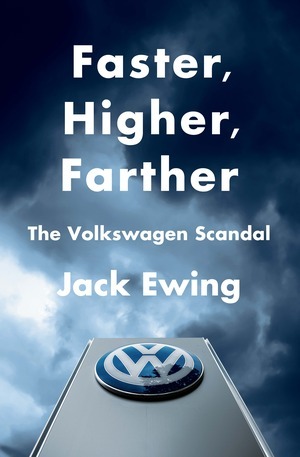 Volkswagen then compounded the fraud by spending millions marketing “clean diesel,” only to have the lie exposed by a handful of researchers on a shoestring budget, resulting in a guilty plea to criminal charges in a landmark Department of Justice case. Faster, Higher, Farther reveals how the succeed-at-all-costs mentality prevalent in modern boardrooms led to one of corporate history’s farthest-reaching cases of fraud—with potentially devastating consequences.